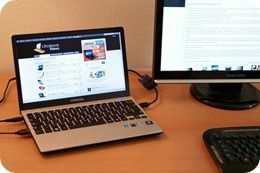 A lot of people have been asking the very sensible question – Why Ultrabook when you can get a 1.5KG notebook that delivers the same battery life and runs at a higher clock rate? 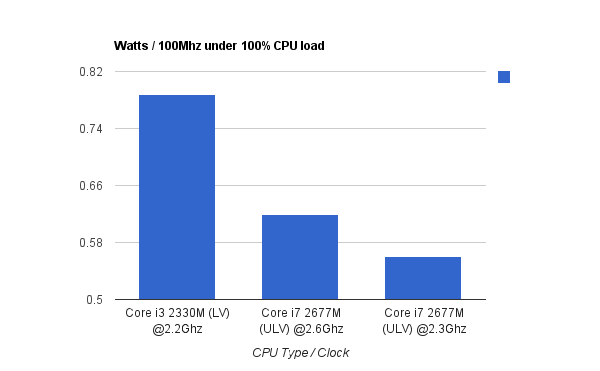 Update: A follow-up test, focussing on CPU power only, has now been published. In nearly all comparison cases, the ‘lower clocked’ Ultrabook is based on an Ultra Low Voltage (ULV) 1.3-1.8Ghz Core i3, i5 or i7 CPU and is being compared to a laptop running a standard mobile equivalent of 2.2-2.5Ghz. With Intel Turbo Boost some of the clock rates can go higher but it’s not important for the comparison.